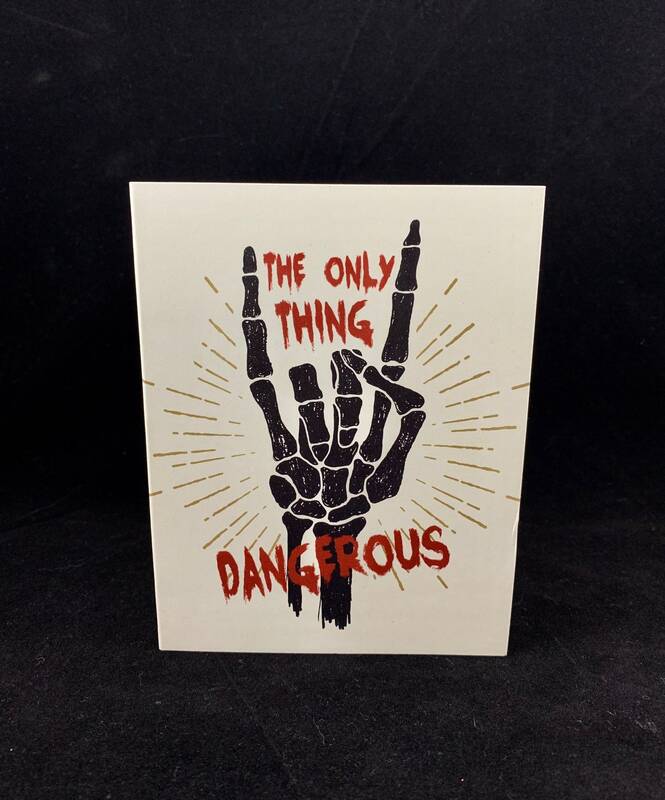 Looking for a rocking way to tell your friends that there is nothing dangerous about a corpse? (ok yes I totally get that that is a dad joke and I stick by my decision). 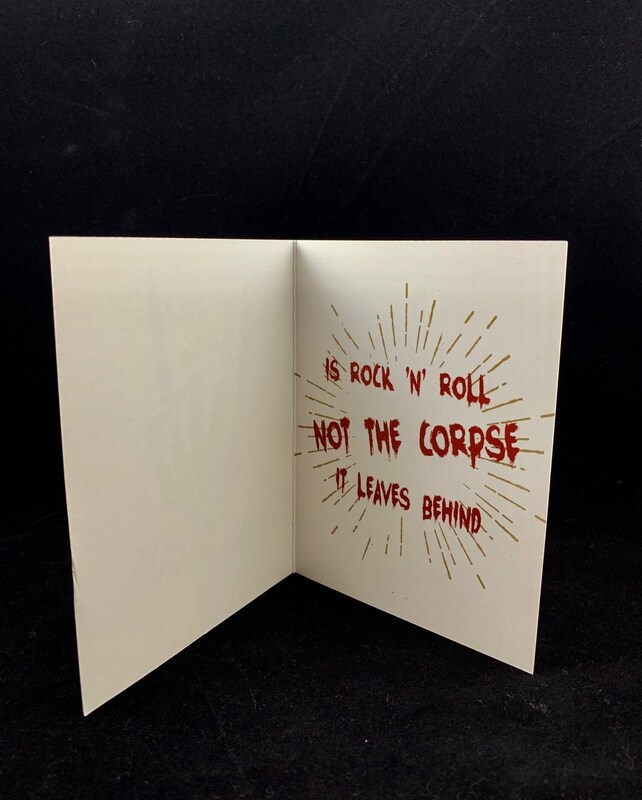 This card was created to be a tongue and cheek way to emphasize that dead bodies are not dangerous and I think that we are living-no pun intended-proof that you can touch a dead body that has not been embalmed and come out alive to tell the tale. So if you want to help spread the word and you know practice the ancient art of hand writing and mailing cards then this is for you!